Our staff knows that Hostel is not only a place to stay but to enjoy the eventuality of meeting others, sharing stories and having fun. 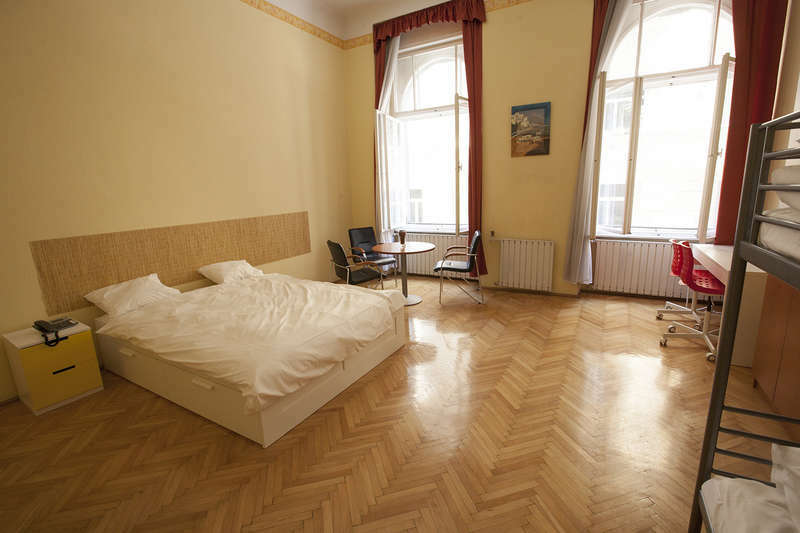 We want you to enjoy a clean, safe and quiet accomodation in the historic downtown (Inner City of Budapest) and at the same time provide you the opportunity to meet and have fun with other travellers and get guidance from our native staff to explore the city in depth. Our local staff knows all the best spots on any given night to guarantee a fun night out. Free towels, lockers, tea&coffee included. Our Hostel is within 2 minutes walking distance from Ferenciek tere (the central and most grandiose square in Budapest, also station of Blue Metro Line), 50 meters from the Danube River and 2 minutes walk from the ship station (Petofi ter) which list of sailings bring you among others to Margaret Island (Margit-sziget) to the Parliament. In the case if you cancel your booking it is a must to do it at least 24 hours earlier. We would like to serve our potencial guest with the best facilities and even one day can count.